*Any MPG listed is based on model year EPA mileage ratings. Use for comparison purposes only. Your actual mileage will vary, depending on how you drive and maintain your vehicle, driving conditions, battery pack age/condition (hybrid only) and other factors. For additional information about EPA ratings, visit http://www.fueleconomy.gov/feg/label/learn-more-PHEV-label.shtml . All prices and offers are before state, city and county tax, tag, title, license fees and $699 Dealer Administrative Charge. Out of state buyers are responsible for all state, county, city taxes and fees, as well as title/registration fees in the state that the vehicle will be registered. All prices and offers include all incentives which the dealer retains unless otherwise specifically provided. Dealer not responsible for errors and omissions; all offers subject to change without notice, please confirm listings with dealer. **Dealer Installed Accessories are not included in advertised price. *The Honda Graduate Program is limited to the 48 U.S. contiguous states, Alaska and Hawaii. For well-qualified customers who meet Honda Graduate Program criteria, subject to approval by Honda Financial Services (HFS). Bonus offer applies toward any new 2017 or newer model year Honda when financed or leased through HFS. Only offered at participating dealerships. Only one $500 Honda College Graduate Bonus offer per vehicle. LEASE: $500 applied towards the cap cost of vehicle. Monthly payment and total due at lease signing are calculated after $500 reduction. Cannot be combined with Zero Due at Signing Lease program. PURCHASE: $500 applied towards down payment. Offer not valid on Honda Certified Pre-Owned Vehicles or used Honda vehicles. Offer valid through March 31, 2019, and may be terminated at any time. Verifiable proof of employment or firm commitment from an employer with start date no more than 120 days from date of finance contract. Must have graduated in past two years or will graduate in next six months. No adverse credit history. Master’s, Bachelor’s or Associate degree from U.S.-accredited college or registered nursing school. Provide Honda dealer with credit and document requirements. Option to defer first payment 90 days (60 days interest-free) is only available with traditional financing (not leasing). *The Honda Military Appreciation Offer is limited to the 48 U.S. contiguous states, Alaska and Hawaii. (1) For well-qualified customers who meet the Military Appreciation Offer criteria, subject to approval by Honda Financial Services (HFS). Bonus offer applies toward any new 2017 or newer model year Honda that are eligible for new vehicle rates when financed or leased through HFS. Vehicle must be new, unregistered and not previously reported sold. Only offered at participating dealerships. One $500 Military Appreciation Offer per vehicle. LEASE: $500 applied toward the cap cost of vehicle. Monthly payment and total due at lease signing are calculated after $500 reduction. Cannot be combined with Zero Due at Signing Lease program. PURCHASE: $500 applied toward down payment. (2) This offer applies to active duty and ready reserve personnel and their spouses. This offer also applies to eligible U.S. Military Veterans and their spouses within one year of separation from active service. U.S. Military Retirees are also eligible regardless of the date of separation from active service. Spouses of U.S. Military Retirees are only eligible within one year of their spouses’ separation from active service. All spouses must present proof of relationship. (3) A valid Military Leave and Earnings Statement (LES) is required as proof of eligibility. During the term of a retail installment finance contract or lease with HFS, the Buyers may not take their vehicle outside of the United States without the prior written consent of HFS. During the term of the retail installment finance contract or lease, Buyers must notify HFS immediately of any change in Buyer’s address. Offer valid through March 31, 2019, unless terminated earlier by HFS. 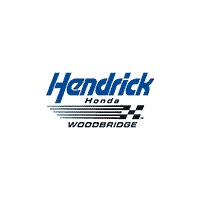 Hendrick Honda Woodbridge	38.644234, -77.263788.